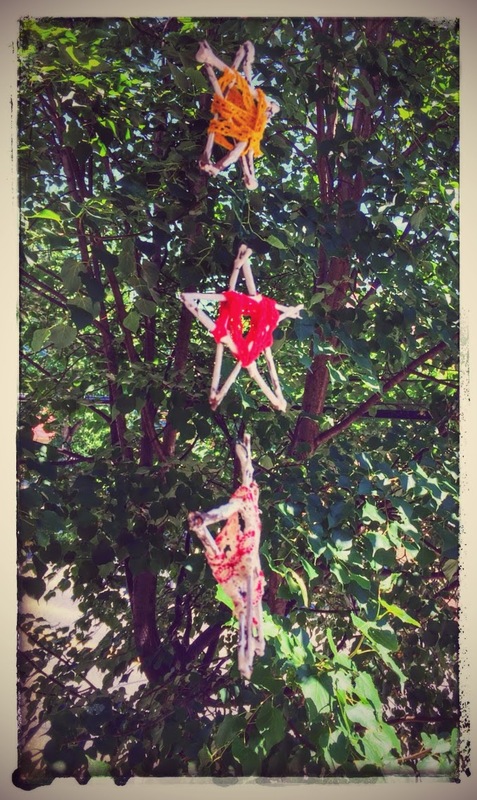 I love these Rustic Spinning Stars. When I first saw something similar here on the "happy hooligans" blog I just knew we had to make them! 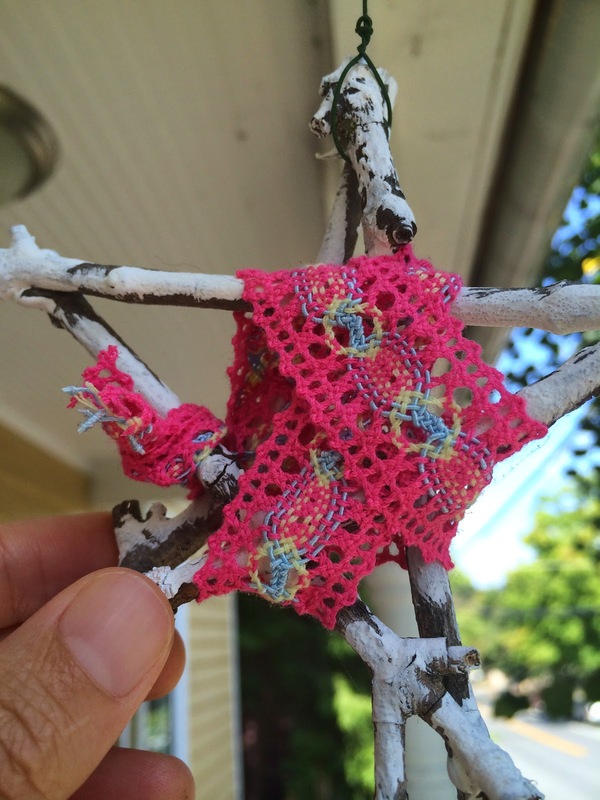 They're fun to make with the kids and are beautiful hanging inside or outside. We have ours spinning on our front porch, while my dad hung his (which we gave him for Father's Day) in their kitchen. I think the stars would be really fun hanging, spinning from the branches of a big tree too! First, have your little ones collect sticks. 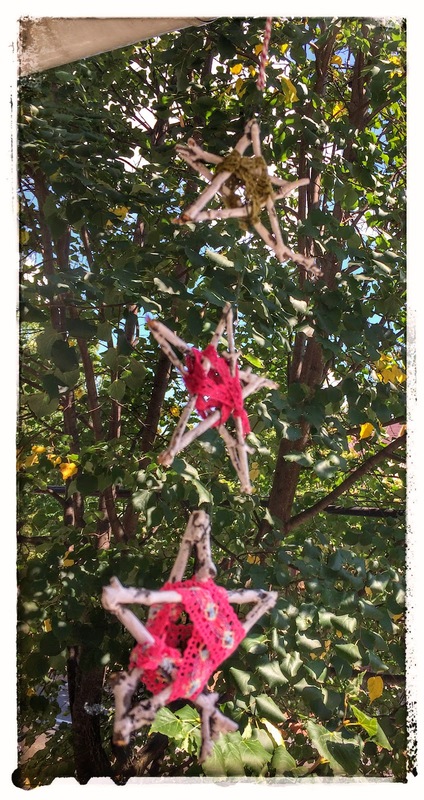 You can make big stars with big sticks or use little twigs, like we did, to make little 3 to 5-inch stars. 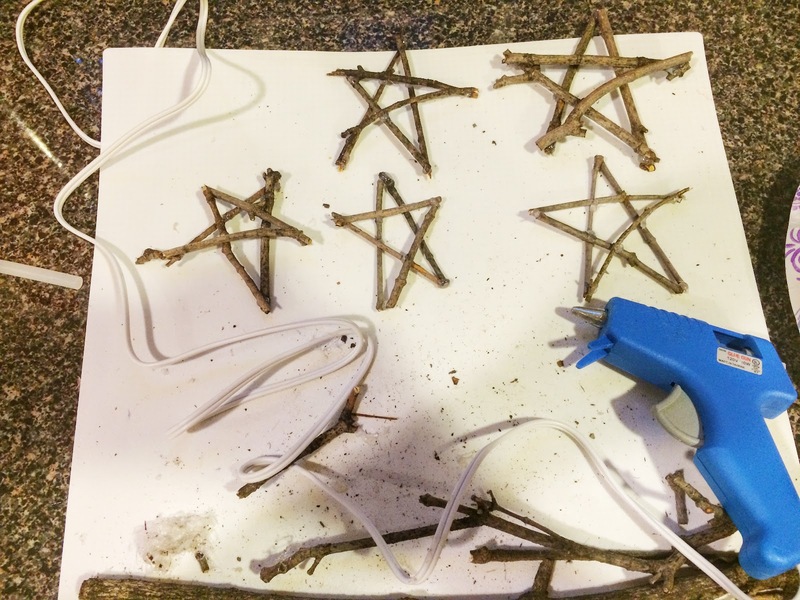 Use the hot glue gun to glue five sticks together into the shape of a star. The stars don't all have to be the same size and they certainly don't have to be perfect...any imperfections give your stars more character! Don't worry about the glue showing either, in the next step the paint will cover it up. 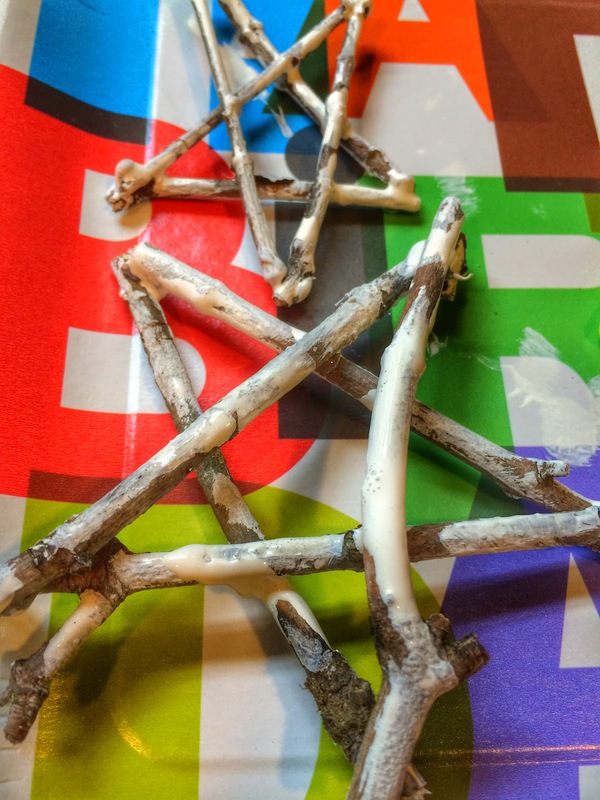 Next, have your kids help you paint each star with white acrylic paint. 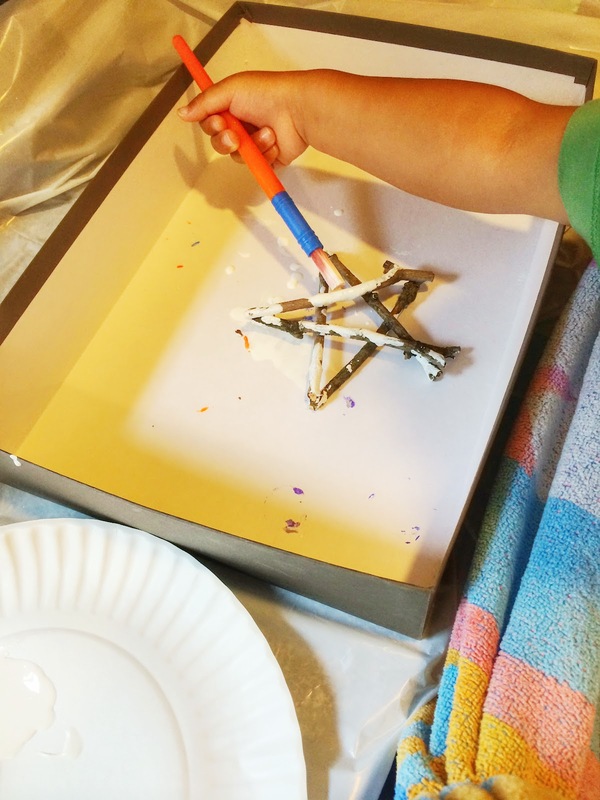 This is a great painting project for little ones, since any missed spots give the stars their rustic appearance. After the paint dries, tie one end of your ribbon to the center of the star and wrap it around. Again, no need to be perfect here...another great task for your kids to help you do! After the star is wrapped, tie the end in a knot around one of the star's arms. You can attach the stars to each other with string or wire. We used green florist wire, which is weather resistant and sturdy. If you link two pieces of wire together, between each star, the stars will spin a little more than if you use only one wire. We tried both ways...both did the job and look great, so it's up to you! 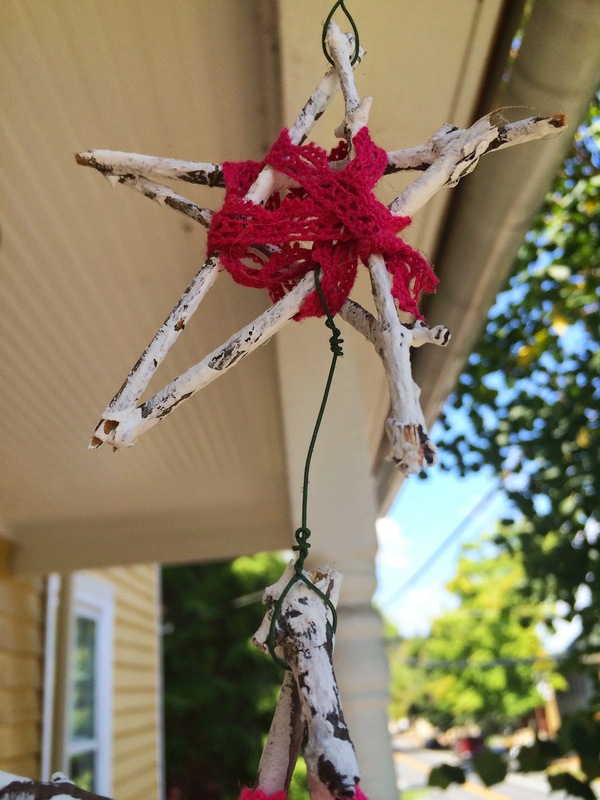 Now for the fun part, find the perfect spot to hang your Rustic Spinning Stars! Enjoy!